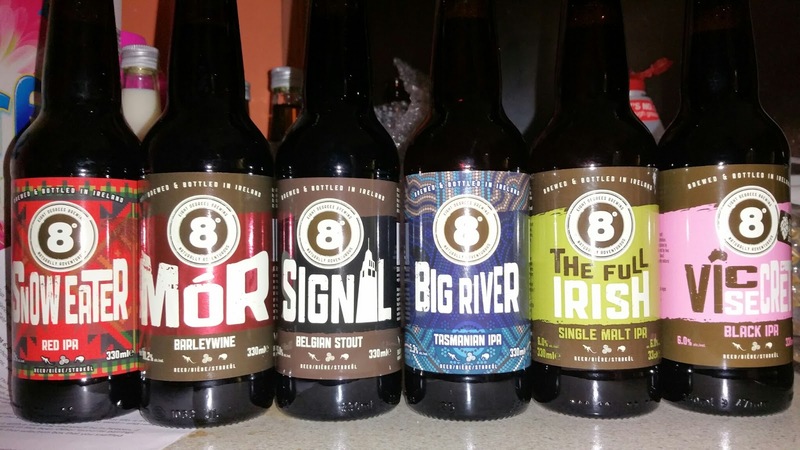 As Christmas approaches, there are plenty of winter specials appearing on Irish shelves. 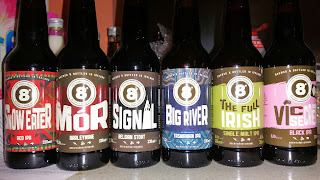 The lovely people at Eight Degrees sent me a box of such specials along with a bottle of Full Irish and Vic Secret, both of which I have had many times so will not write about here. 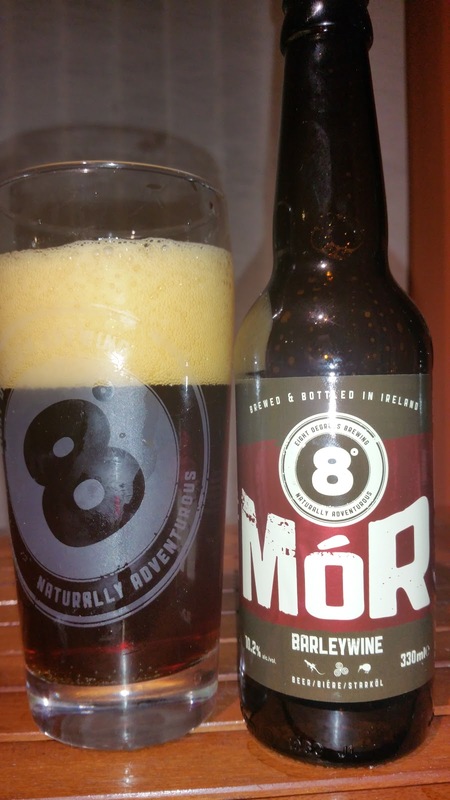 Mór is a 10.2% barleywine which put me in mind of an Irish version of Bigfoot. This is one to age I reckon. It’s not as hop forward as Bigfoot but there’s plenty to keep people interested. Sweet caramel malt and dark fruits on the nose. When I tasted it, I thought it was pretty spectacular. It’s exactly what I want in a winter warmer with a little spice, dark fruits and a bit of a citrus bite. Plenty of caramel with the barest hint of liquorice on the finish. Mór of this please. Signal is a 6% Belgian style stout. It’s certainly strong and Belgian. There are notes of milk/lactose. I found the body is quite thin here, something not especially to my liking and certainly not in a big stout. The finish is pretty bitter with lots of coffee and burnt toast. 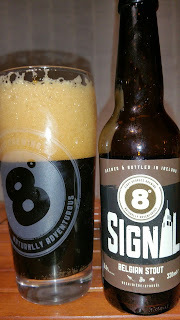 This was the weakest of the trio for me but those who prefer a lighter bodied stout will appreciate it. 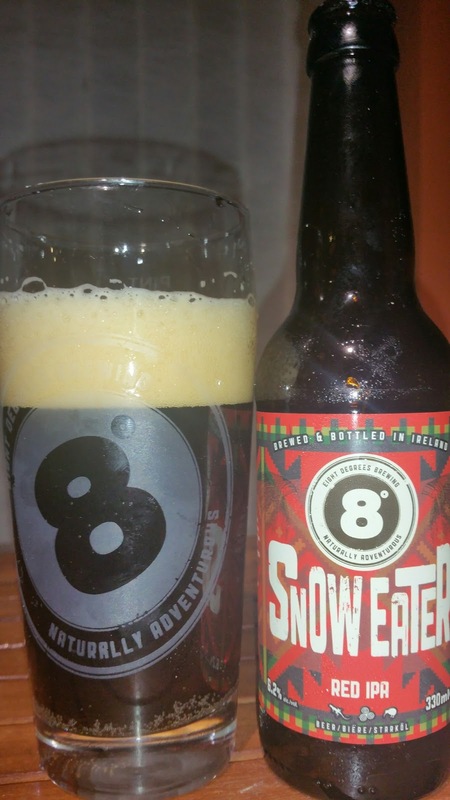 Snow Eater is a Red IPA and 6.2% ABV. It uses Chinook hops for a pine and spicy note. The aroma is malty sweet with a touch of Ryvita crackers. Citrus hops are obvious. On tasting, we get an intense bitterness then some spicy hops followed by some roast. It has a big malt forward body but edges more towards the bitter end of the scale. Great big bitter finish with a slightly sweet note. Lovely beer but not what I would call balanced. 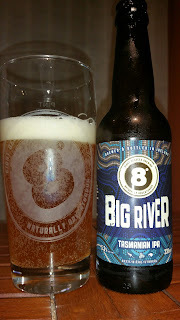 If you like your beer big and bitter, this will go down nicely. The last one isn’t one of the Christmas specials but it’s worth mentioning as it’s still pretty new having only been released around October and since I haven’t written about it yet, I figured it was a good opportunity. It was the first time I have had it in bottle format as normally I have had it on tap. 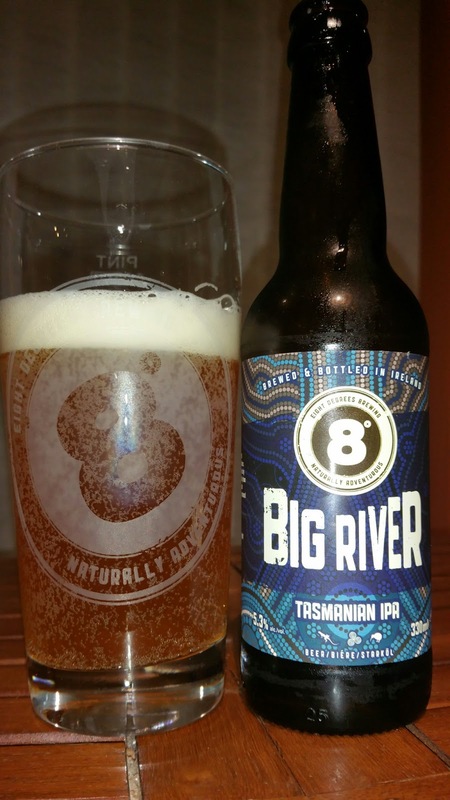 Big River Tasmanian IPA is an almost seasonable 5.3% IPA which uses Ella and Enigma hops. This is a hop forward IPA, plain and simple. An aroma of fresh pine and citrus. Really fresh. It tastes pretty much the same with some added juicy fruits and a slight pithiness. It’s absolutely beautiful. My advice, get it quickly and drink it as fresh as possible before the hops start to degrade. Apologies for the lateness of articles recently. I have been busy putting issue 3 of Beoir Magazine together. The magazine arrived from the printers on Monday so my job is done for a few months until the next one starts.